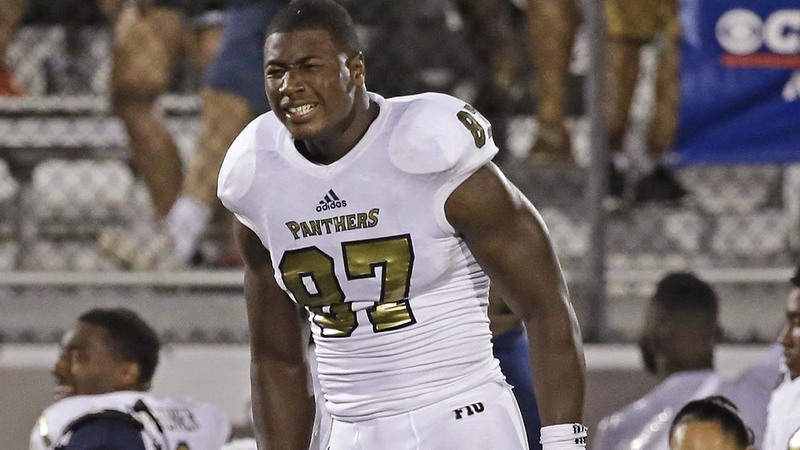 MIAMI, FL -- The girlfriend of Florida International University tight end Jonnu Smith is facing a felony aggravated battery charge after police say she poured boiling water on him during an argument. An arrest report says 20-year-old Mary Gaspar, who is five months pregnant, told officers she had been angry that Smith wasn't paying attention to her Oct. 31 when she boiled a pot of water in his dorm room and then dumped it on him, causing severe burns and hospitalization. Gaspar was arrested two days later. Court records show Gaspar has pleaded not guilty. When contacted by the Associated Press, Gaspar's attorney declined to comment.